In the fickle American music scene we're expected to get all lathered up about the next trendy band. What will pique the interest of the youngster, the Clark Kent bespectacled hipster, today? Then something refreshing comes along, familiar but a bit different, keen to trends but not so hip to be a clone. Better: something different enough to persuade a jaded mature rocker, such as myself, who easily dismisses American music chic. Athel: after all, he needed a new drum kit. 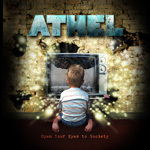 I dig Chicago's Athel, an engaging power trio on the alt/indie scene, and their first full-length Open Your Eyes to Society (the title an integration of two previous EPs). There music has some obvious references, not the least of which is punk and post punk. Though you might hear echoes of Green Day, these guys are far more creative and far better musicians than those punk posers. It's the energy and urgency, which made punk so glorious, that burns in Athel's belly. 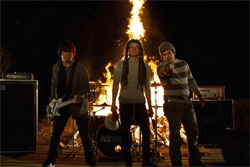 After that Athel has a keen sense of melody and hook, from lyric to song composition, that suggests classic melodic hard rock, although they can be heavier at times. And like any good power trio, they can offer a huge amount of depth of sound; you think their should be a fourth, even fifth member, since the sound is equally lush, epic, and extravagant. The tunes are short but packed and bristling, immensely accessible and entertaining. And there's not a single bad song, or filler, here. Top pick for this listener: Radio, Oceans, Keep Me Awake (a very Green Day-ish sound, but not), and the wonderful and eccentric tunes, Paranormal Abstract of Everyday Living and Wake Up Sleepyhead. Bravo to guitarist Justin King, who can play well and offer consistently interesting leads. 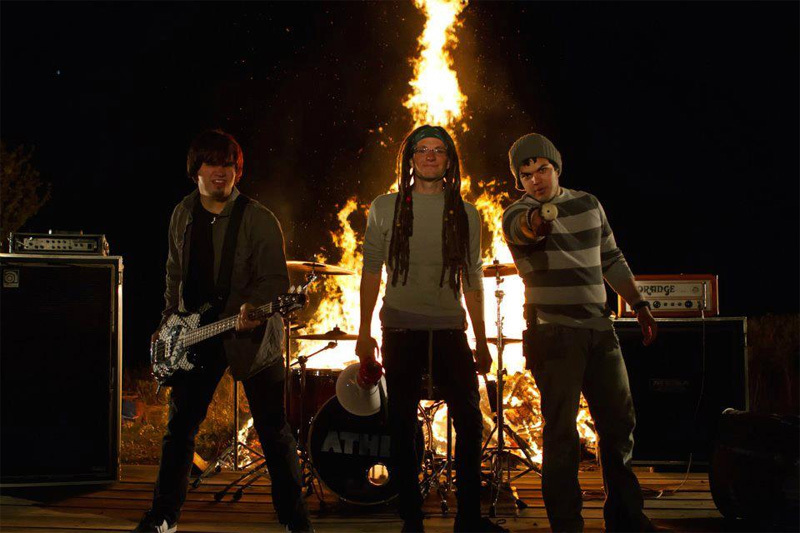 While not quite as prog or eclectic as King's X, Athel reminds of a modern pop version of them, and certainly with their talent they could easily explore a more technical side. Ultimately, in the end, I think all Athel wants to be is a very good rock and roll band. There could be nothing to stopping them in that pursuit. Very recommended. While this is certainly powerful punkish modern hard rock, I think all power trio Athel wants to be is a very good rock and roll band. There could be nothing stopping them.